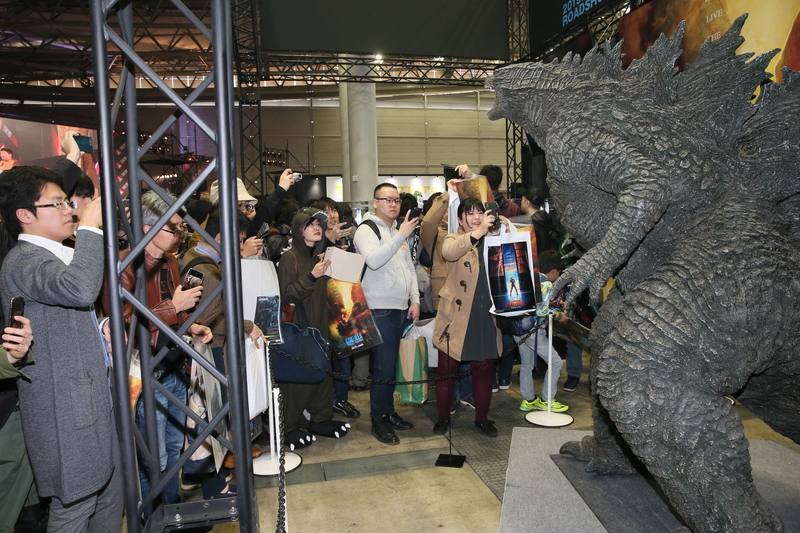 Legendary fans at Tokyo Comic Con this weekend were treated to new details about the upcoming films POKÉMON Detective Pikachu and Godzilla: King of the Monsters. Godzilla director Michael Dougherty unveiled the first look at the new Bandai toy line featuring the iconic monster lineup of Godzilla, Ghidorah, Mothra, and Rodan as well as the Godzilla statue in the Bandai booth. Detective Pikachu director Rob Letterman spoke with stars Justice Smith and Kathryn Newton about what fans can expect from the first ever live-action Pokémon film in 2019. Also introduced to the Detective Pikachu family was actor Ryoma Takeuchi who will voice the character of Tim Goodman in Japan. Stay tuned to legendary.com for more updates on both movies. POKÉMON Detective Pikachu hits theaters May 10, 2019. Godzilla: King of the Monsters debuts May 31st, 2019.